Every year, Dulwich College (Singapore) takes time to specifically honour the 534 Old Alleynians who served and died in the Great War. In this special 100th anniversary year of remembrance, the College had a number of moving and emotional Remembrance Assemblies to join together across year groups, remember and respect the lives of those lost in war. 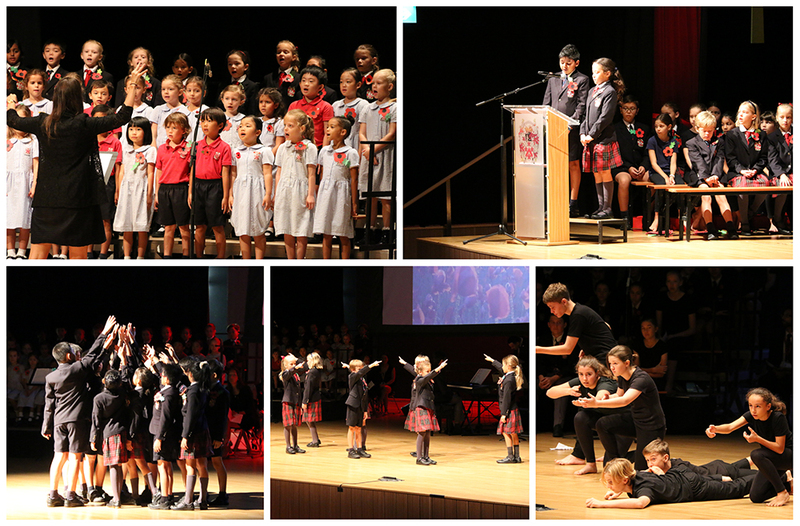 Beautiful choral pieces, solos, drama performances and poetry made up the orders of service which were compared by our Junior School Head Boy and Head Girl and our Senior School Music team. A particularly emotional moment was when Junior School students were told that in the audience of their assembly they were joined by an incredibly special Guest of Honour and her family. Patricia is the 95-year-old great-grandmother of two of Dulwich College (Singapore) current students who had flown all the way from the UK to be a part of the service and to remember her brother, Garth Edgar Carpenter who is an Old Alleynian. He was gazetted to the 13th/18 Royal Hussars in May 1950 and joined his regiment in June that year. He was sadly killed in Malaya and is buried near Malacca. Students were so touched to hear that we were joined by this special guest of honour, particularly as she was joined by four generations of her family, including her great-granddaughters who are our students today. The Alleyn Theatre was filled with students from Year 2 to 12 as well as many parents and staff paying their respects to those who made the ultimate sacrifice for their countries and loved ones. As the Last Post sounded, poppies fell from the roof of the theatre as a somber reminder of those who gave their lives for the hope of today. Dulwich College (Singapore) reflected on war, those lost in war and the lessons we are still learning today. Lest We Forget.